PRODUCT: #2 Retrofit Master Flash BLACK COLOR EPDM Flashing (Aztec #RF201BP). 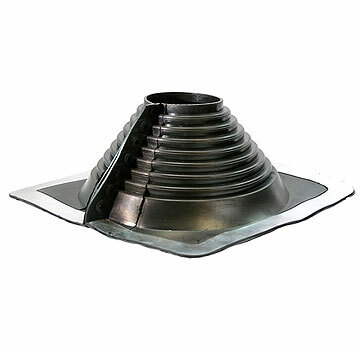 Pre-split flashing boot fits 4" To 9-1/4" Round Pipes. Price/Each. (Order in full boxes of 5 for discounts).